Add that all important finishing touch to your Christmas gift wrapping for those you love with this Pillow Gift Box from East Of India, featuring stunning illustrations upon an easy to package folding card gift box. This pillow gift box is ideal for a number of small to medium sized gifts this Christmas including jewellery, clothing accessories, keepsake tokens and more. The gifts are accessible through the fold open ends on either side of the piece meaning it can also be reused year after year! This pillow gift box comes flat-packed ready for you to place a gift inside and simply close the end tabs to secure any gift with ease. 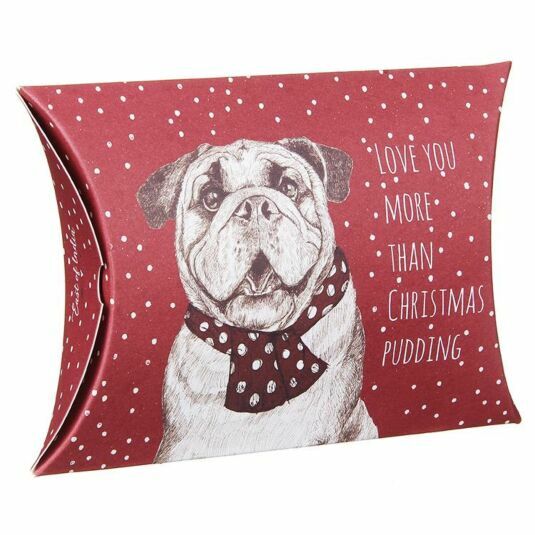 This East Of India ‘Christmas Pudding’ Pillow Gift Box is perfect for adding that something special to any gifts.